Winter’s imminent arrival is already nipping fingers across the Northeast. If you have a touchscreen phone, this poses a problem. Fleece and nylon gloves won’t register on the screen, forcing you to expose your scrolling digits to the elements. An ever-growing line of touch screen compatible gloves offers a potential solution. Touchscreens work by using your body’s natural conductive properties. Fabrics like fleece, nylon, cotton, and wool do not conduct electricity and thus won’t register. To get around this problem, glove manufacturers incorporate conductive thread into the finger tips, usually just the thumb and index finger. When shopping for a pair, keep in mind that fit varies widely by brand—whichever pair fits you the best is usually the one to buy. That being said, most of these styles are new this season and seem to be generating some mixed reviews. 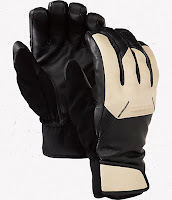 Keep an eye on user feedback and reviews as these gloves become more commonly used in the months ahead. Here’s a quick round-up of options from several major gear companies. Note that most are available in both men’s and women’s (links are to men’s versions). 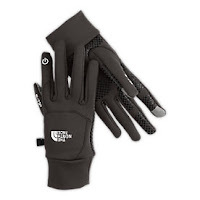 The North Face Etip SeriesA range of styles are available, from the lightweight, around-town Etip Glove ($40, pictured) to the beefier Etip Pamir Windstopper Glove ($60) to the snowsports-oriented Etip Facet Glove ($75). 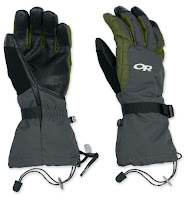 Select from either the Sensor Glove ($65), a wind-resistant midweight option with excellent grip, or the heavy-duty Ambit Glove ($99, pictured). Outdoor Research is one of the few companies that offers styles without silvery fingertips. Touchscreen compatibility comes instead from “TouchTec” technology, which integrates conductive fibers into a leather-like material. Marmot E-Tip SeriesMarmot offers the Connect Glove ($30), a lightweight stretch-fleece liner. Burton focuses on the skiing and snowboarding crowd and, like Outdoor Research, uses TouchTec leather in its slope-ready Pinnacle ($99) and Gondy Leather Gloves ($95, pictured). The company also offers one of the least expensive touchscreen liner gloves ($18), which are available in a rainbow of non-black colors. Several other companies produce touchscreen gloves (mostly liners), including Seirus, Manzella, and Isotoner.